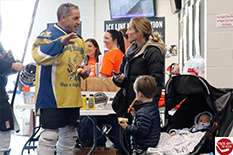 The “Sixth Annual Face-off for Autism” hockey tournament, held in West Chester, Pa., generated nearly $20,000 to benefit a Devereux Pennsylvania scholarship program for adults with autism. Photo credit: Andrew J. Simcox. Executive Director of Autism Services and event co-organizer Dr. Todd Harris prepares for the game. Photo credit: Andrew J. Simcox. Members of the Devereux team. Photo credit: Andrew J. Simcox. The event was a fun day out for the whole family! Photo credit: Andrew J. Simcox. 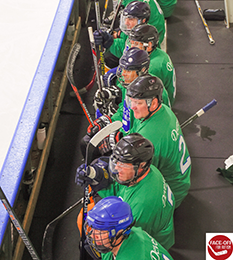 Approximately 320 participants suited up for the “Sixth Annual Face-off for Autism” hockey tournament, held recently in West Chester, Pa. The event, generating nearly $20,000, will benefit a Devereux Pennsylvania scholarship program for adults with autism. Over the last five years, the Face-Off for Autism event – a partnership with Shinny USA – has raised more than $100,000 for Devereux Pennsylvania’s “Bridge Scholarship,” which helps young adults with autism ensure there is no lapse in services between high school graduation and adult programming. Scholarship recipients are served by Devereux Pennsylvania’s Community Adult Autism Partnership Program (CAAPP), which provides individualized and innovative community-based services for adults with autism spectrum disorders (ASD) and other disabilities. 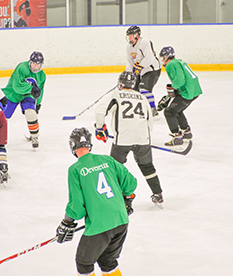 The event included 32 teams battling it out on the hockey rink for bragging rights; one team comprised of Devereux employees, including Executive Director of Autism Services and event co-organizer Dr. Todd Harris. The challenges facing individuals with ASD shift considerably as they make the transition to adulthood. For adolescents, this issue is compounded as critical behavioral health services end – or are considerably reduced – as students leave the school environment. 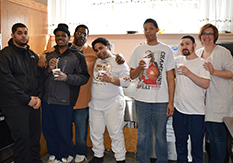 Bridge scholarships are granted to adults in three Pennsylvania counties whom may need individualized supports and services – through CAAPP – as they develop skills for employment or volunteer work, or to live as independently as possible. The primary goal is to provide instruction and support across community, home and work environments that will help individuals become productive, socially connected, and personally fulfilled members of their local communities. 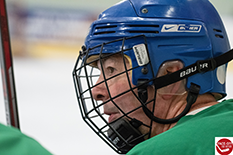 Interested in sponsoring next year’s hockey tournament? Contact Todd Harris or Amanda Duffy. Get your golf clubs ready! 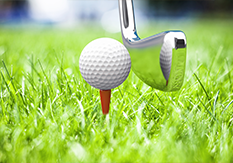 The second annual “Tee-Off for Autism” golf tournament – also benefitting Devereux Pennsylvania – will be held at Broad Run Golfer’s Club on September 14, in West Chester, Pa. Interested sponsors or participants should visit www.teeoffforautism.com or contact T.J. Schneider. 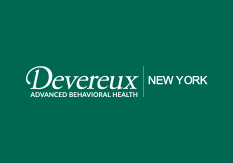 To learn more about Devereux Advanced Behavioral Health Pennsylvania, click here. 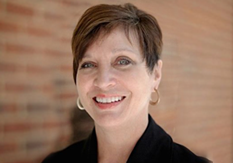 To learn more about CAAPP, click here. A florist, bike shop, auto shop and more! 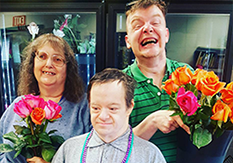 The Shops at Devereux, part of Devereux Pennsylvania’s vocational training program, provide employment and training opportunities for adults with disabilities. Plan your visit today! Adults who participate in Devereux New Jersey’s cooking club learn valuable lessons such as how to scout out sales, make a budget and find healthy ingredients. In honor of Autism Awareness Month, CBS Philly featured a story about Devereux New Jersey's plant therapy program, which teaches adults with autism new skills. The June 15 event will feature discussions with internationally-recognized motivational speaker Lou Radja and Dr. Robert Naseef, psychologist, author and father of a child on the autism spectrum. More than 300 supporters expected to attend annual event, which will be held at three of Philadelphia’s premier golf courses, and will feature live/silent auctions and a cocktail/dinner reception.